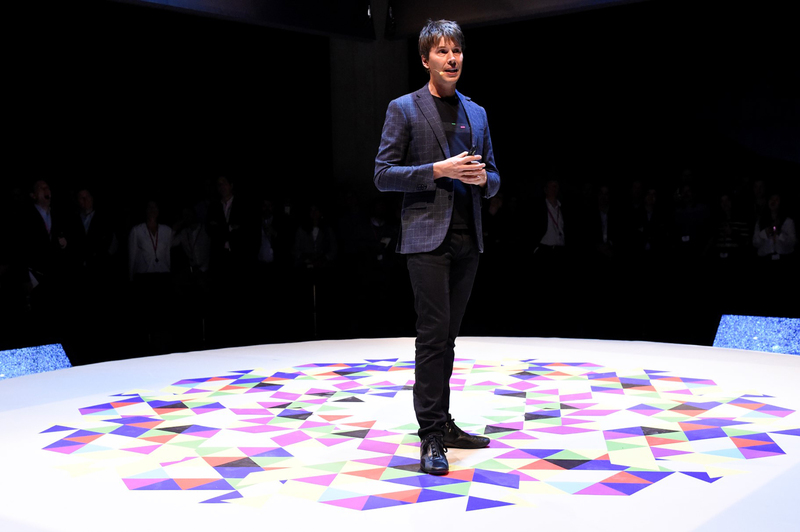 Synergy Global organised the Accenture Kaleidoscope event for 230 guests with Professor Brian Cox as a keynote speaker. Synergy Global won the C&IT Award for Technology & Telecoms Event of the Year with the Accenture Kaleidoscope. Now we can take a look at their award entry to see what impressed the judges so much. Accenture’s goal was to do something unprecedented, unexpected and all about growing incremental revenue around the application of emerging technologies. Kaleidoscope was designed to ooze confidence, creativity and the power of collaboration as a catalyst for growth. The event had to be smarter, richer and more immediately sales-generating than other tech conferences – something that would leave attendees excited and unable to resist the urge to do something new. Meanwhile, those that couldn’t attend would be teased by glimpses of event content and would want to learn what they’d missed. This would be an ‘open source’ event experience where partners and customers were free to showcase their expertise independently with one another. Accenture would provide the event platform and host the experience. The event would feature inspiring thought-leaders from outside Accenture’s commercial community and from worlds beyond technology. Accenture Kaleidoscope was a beautiful, high-energy and playful experience in the unexpected environment of The Tanks at Tate Modern. Accenture’s partners, customers and own people came together for open conversation inspired by brilliant minds, big ideas and bursts of content that kept those in the room thinking. The Tanks at Tate Modern was the venue for a two-day event series that welcomed Accenture’s top customers and hottest prospects. Within the stunning disused tanks we built an ecosystem of technology solutions and experiences to open the eyes of attendees and give Accenture the opportunity to be ‘the glue’. Partners such as Google, ForgeRock, IBM & Blue Prism exhibited their latest technology and future trends. Guests were treated to keynote speeches from Professor Brian Cox alongside Accenture’s global heads. And, with an eye on the next generation, we created an experience for 200 school children as part of Accenture’s investment into STEM education. There were two key areas within Kaleidoscope: Kaleidoscope Marketplace and Kaleidoscope Stage. In the marketplace, 37 technology partners were split into five zones within the North Tank. Each zone brought to life one concept of innovation looking at the following areas; AI is the new UI, The Uncharted, Ecosystem Powerplays, Design for Humans and Workforce Marketplace. Each zone was bespoke built and curated using Kaleidoscope architecture and projections throughout. Companies such as Microsoft, Oracle, Salesforce, Dell & SAP were free to exhibit their latest technology and future trends in their own way. We used Radio-Frequency Identification (RFID) to record the number of engagements across all partners. Partners were given personalised iPads which recorded guests’ data when they engaged with a stand, with all data given to partners following the event. On the Kaleidoscope Stage, a huge in-the-round platform beneath a dramatic Kaleidoscope installation featuring huge screens and sound system for an epic content experience. Food and bar areas were also located in this space – a place to engage in open conversation having explored the tech on show. Guests listened to three keynote speakers including Professor Brian Cox, which were followed by two DJ sets from AI-powered performers later in the evening. Oracle also displayed their model of the Bloodhound car at the back of the room, which was a brilliant example of technology powering performance. 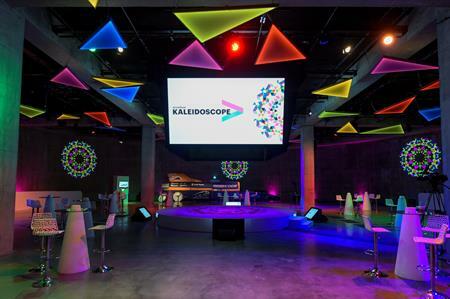 Kaleidoscope captured and communicated exactly how Accenture want to be seen and ‘felt’ by their customers and prospective customers. At a commercial level, Kaleidoscope was an enormous success, generating an unprecedented ROI for a brand experience. One judge said: "Amazing ROI from client event, great creative to support client brief and encourage thought and behavioural change to match company objectives. Testimonials demonstrate success from an event." Another said: "A complete contrast to their previous and a brave new direction with engagement, interaction and thought-provoking content."